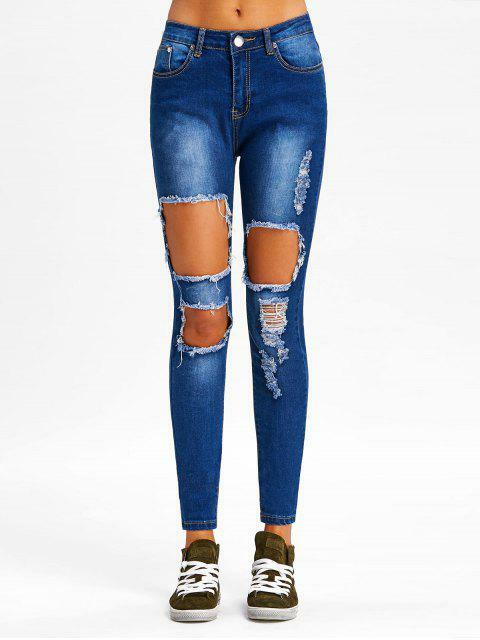 [46% OFF] 2019 Destroyed Skinny Jeans In DENIM BLUE | ZAFUL ..
Super cute. Fits well. Looks exaclty like the pictures. Ordered a small. Figure flatting for anyone. In a classic five-pocket style, the jeans feature a fierce distressing detailing along the front for an on-trend cool look. It must be a wardrobe staple with its flattering skinny fit and the trendy belted loops. Just pair it with any top and some loafers for an easy casual look.